So Inkscape isn’t really meant to deal with photo editing, but there are a few tricks you can use to get the job done. Let’s go over how to blur a particular portion of an image, such as the background. First thing’s first – let’s import our image into our Inkscape document. Now let’s duplicate our image and move it off to the side. On the duplicated image, let’s grab the Pen tool and draw a rough outline around the area we want to stay in focus. With the rough trace in place, we can now use the Nodes tool to smooth and fine tune some of these nodes. When we’re all done adjusting, we can now get rid of that stroke and add some sort of fill. 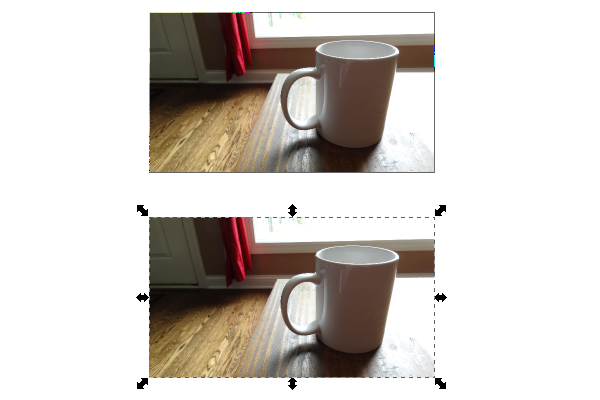 Now with the image and the trace object both selected, head up to Object > Clip > Set to isolate the area. Grab our new clipped image and position it perfectly over the original image using Align and Distribute. The trick here is to now select the original image and apply a blur to this, thus giving the effect of only the background being blurred. Awesome! Even though Inkscape isn’t exactly meant for something like this, it actually turned out pretty well! There’s a lot of options with this method, and there’s also more image options that Inkscape offers with Filters and Extensions. So go ahead and have fun with this one! Thanks for reading.